The Commander Global binocular upgrades marine-standard 7x magnification and 50mm objectives with Diamond Marine™ lens coating and high definition optics for astounding clarity, plus an integrated digital compass with electronic magnetic field measurement for precise readings anywhere in the world. Digital Worldwide Compass shows precise, easy-to-read bearings superimposed on the edge of the viewing image, plus a reticle for calculating distance to an object. Smart-Illumination display automatically adjusts to ambient light from day mode to night mode. Memory Diopter provides handy mechanism to store and indicate your personal diopter setting. Sports-Auto Focus™ System lets you focus each eyepiece to your vision once, then keeps images razor sharp from 18 m to infinity. No more chasing focus on moving objects. Steiner Nano-Protection® hydrophobic molecular coating creates a lens surface so smooth water sheets off and dirt, dust, snow and fingerprints are repelled for easy cleaning and a clear view. Makrolon® housing is durable polycarbonate with NBR Long Life rubber armoring, creating a lightweight, rugged chassis that withstands 11 Gs of impact. Impervious to harsh conditions for generations of trusted use. N2 injection™ system seals 14-psi pressurized dry nitrogen into the optic, for fogproof clarity in any condition - from artic cold to desert heat. Diamond Marine™ Lens Coating 96% light transmission due to Steiner's unique maritime lens coating formula that reduces glare, increases clarity and maximizes optimal viewing in hazy light or after dark. Water pressure proof. Magnification: 7 x, Prism Type: BaK-4 Porro; Product Dimensions: 206 x 157 x 99 mm ; Weight- 1147 grams. 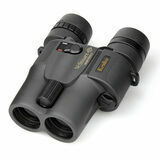 Compact and stable Steiner binoculars with 7 x 50 magnification. With a stunning image quality and anti-reflective coatings adapted for marine-use. Built-in compass with both distance and bearing scale marking and lighting (removable). Rubberized, waterproof and nitrogen filled casing ensures good grip and protects the binoculars from shocks. Nano-Protection-treated outer lenses. ClicLoc systems for both eyepieces and strap. Dustproof and waterproof to a depth of 10 meters. Field of view at 1000 m : 145 m. Auto Focus. Maximum 3D visibility. Comes with a strap. Weight: 1145 grams. Warranty: 30 years. 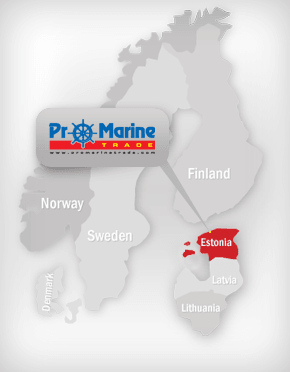 The military-grade, porro prism Commander Series is the marine binocular choice for anyone who makes their living on the water – fishing guides, ship captains, tug boat operators, marine patrol and law enforcement. Steiner Diamond-Marine-Coating delivers top of the line image clarity, sharp edge-to-edge definition and contrast, and high light transmission for navigating in low light or fog. Comfort-Balance-System with NBR-Long Life rubber armouring, Steiner ComfortGrip thumb rests, versatile ErgoFlex Eyecups and the Memory-Ocular for saving personal diopter settings. Water pressure proof. Magnification: 7 x, Prism Type: BaK-4 Porro; Product Dimensions 20.6 x 15.7 x 7.5 cm ; Weight: 1190 grams. Warranty: 30 Years. The porro prism Navigator Pro Series is the choice for recreational boaters, weekend anglers and hobby sailors. Delivers excellent image clarity, sharp definition and contrast, and oversized light-gathering objective for bright picture in low light. Equipped with an HD stablilized compass in a compact frame, for clear images and reliable headings in an easy-handling size. Carries an HD fluid-damped, illuminated analog compass for easy-to-read navigation. The field of view is not influenced by the integrated bearing marks, thanks to the large compass, and shock absorbing fluid determines the direction is effective with high precision. Batteries- 1 Lithium Metal batteries required (included). Steiner Nitrogen-Pressure-System, NBR-Longlife Rubber Armouring. Water pressure proof: 5 m; Magnification: 7 x, Prism Type: BaK-4 Porro; Product Dimensions: 20.6 x 9.7 x 14 cm; Weight: 1100 grams. 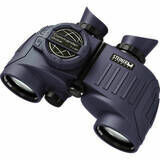 Compact and stable Steiner binoculars with 7 x 50 magnification. Rubberized, waterproof and nitrogen filled casing ensures good grip and protects the binoculars from shocks. Dustproof and waterproof to a depth of 2 meters. Field of view at 1000 m : 123 m. Auto Focus. Maximum 3D visibility. Comes with a strap. Weight: 1030 grams. Warranty: 10 years. The porro prism Navigator Pro Series is the choice for recreational boaters, weekend anglers and hobby sailors. Delivers excellent image clarity, sharp definition and contrast, and oversized light-gathering objective for bright picture in low light. Equipped with an HD stablilized compass in a compact frame, for clear images and reliable headings in an easy-handling size Batteries- 1 Lithium Metal batteries required (included). Steiner Nitrogen-Pressure-System, NBR-Longlife Rubber Armouring. Water pressure proof: 5 m; Magnification: 7 x, Prism Type: BaK-4 Porro; Product Dimensions: 20.7 x 9.5 x 14 cm; Weight: 558 grams. 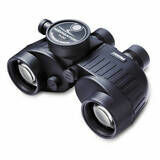 Compact and stable Steiner binoculars with 8 x magnification. Rubberized, waterproof and nitrogen filled casing ensures good grip and protects the binoculars from shocks. Dustproof and waterproof to a depth of 2 meters. Auto Focus. Maximum 3D visibility. Comes with a strap. Warranty: 10 years. Ideal binocular for a person who wants a very good price-quality ratio. The 7x magnification allows you to observe other vessels, buoys and everything else you need. It's all in harsh environments. The product has a very contrasting, clear image that ensures a high quality result for the user. The autofocus system allows you to easily track a moving object, while keeping the image sharp. The durable housing does not let the product reduce its value and provides a long service life. Field of vision 1000m away: 107 m. Weight: 1015 g. Dimensions: 207 x 140 mm. BK-4 prism, shock proof rubber casing, suitable for eye-glasses, viewing angle 7,5 degrees, (field of view 132 m/1000 m). Binocular is completely waterproof, has digital compass and thermometer, range meter and automatic focus, which makes tracking moving objects very easy. Dimensions: 21,3 x 8,5 x 16 cm. 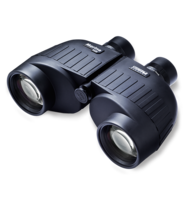 Weight: 1125 g.
Professional binoculars 7 x 50 fitted with compass. 100 % watertight, filled with nitrogen gas, fitted with bearing compass with light and a grid to measure distance, high quality optical system, prisms BaK-4, coated with rubber, supplied with neckstrap and case, anti-glare lenses Ruby Coating. Focus has developed a new marine binocular with amazing features both optically and mechanically. With the use of advanced BaK4 roof-prism, we have got a slim, compact and durable marine binocular that fits into any vessel. A highly advanced coating (Full Broadband Multi Coating) FBMC on all glass surfaces. Barium crown glass prisms (BaK4) are treated with Silvercoating for 100 % reflection as well as a Phase-coating for best sharpness and light transmission. Focus Captain 7 x 50 Compass has a great depth of field so almost no refocus is needed. The binocular gives a sharp image from 2 m to infinity across the field of view. The contrast and backlighting feature is superb, even the darkness you will note the high quality. The Twist-up eyecups make it easy to adjust the distance between the eye and the binocular, it will always give you the best vision with or without glasses, you can adjust the distance between your pupils from 56 to 73 mm. It's easy to take a bearing mark with this calm and stable compass. The binoculars have a built-in scale where you can calculate the distance or size of the object. The rubber amour gives a safe grip and it is easy to hold the binoculars with one hand when the sea gets rough. Bag and floating strap included. 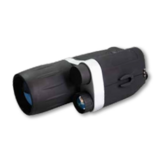 Binocular Focus Aquafloat- Individual focus gives an optical depth from 20 m to infinity without refocusing of use. 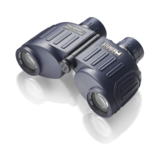 The binoculars have a wide field of view that provides a 3D vision and the large influx of light makes it ideal for use at night. Built-in compass and distance scales which if necessary can be illuminated at night. BaK-4 prisms and anti-reflective coating provides a clear and sharp image. Waterproof to withstand the marine environment. Bag and floating strap included. Magnification: 7 x; Lens: 50 mm; Field of view at 1000 m- 132 m; Closest focusing distance: 20 m; Weight: 910 grams. Focus Sailor II 7 x 50 WP – waterproof marine binocular that fit into the boat safety equipment. The binocular gives you a calm and stable image even in tough marine conditions. Focus Sailor II has a large sharp depth of field for easy handling. Advance coating gives a sharp and bright image from 7m to infinity. When wearing eyeglasses you shall fold down the rubbercups for an easy viewing, 23 mm distance between the lens and eye makes that everyone wearing glasses can use this binocular. Includes case and floating neckstrap. Magnification: 7 x; Objective: 50 mm; Coating: FMC; View angle. 6,5°; Field of view at 1000 m- 114 m; Eye relief: 23 mm; Diopter adjustment: 4D~+4D; Near focus: 7 m; Weight: 950 grams. Watski Focus- waterproof marine binocular that fit into the boat safety equipment. The binocular gives you a calm and stable image even in tough marine conditions. Focus Sailor II has a large sharp depth of field for easy handling. Advance coating gives a sharp and bright image from 7m to infinity. When wearing eyeglasses you shall fold down the rubbercups for an easy viewing, 27 mm distance between the lens and eye makes that everyone wearing glasses can use this binocular. Magnification: 7 x; Objective: 50 mm; Coating: FMC; View angle. 6,6°; Field of view at 1000 m- 115 m; Eye relief: 27 mm; Diopter adjustment: 4D~+4D; Near focus: 15 m; Weight: 1150 grams. Osculati binoculars Autofocus is a professional 7 x 50. Fully watertight with automatic focusing (minimum distance 12 m). Prisms: BK-7. Anti-glare lenses "Ruby coating". Field at 1000 metres. Includes belt and holder. 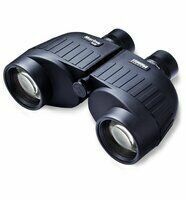 Osculati binoculars Zoom 10 x 30 x 50. Rubber coated, central and eyepiece focusing. Joint a "nautical" field (diam.50 mm) to the zoom technology that with quick operating lever allows to zoom from 10 up to 30 enlargements. Includes belt and holder. 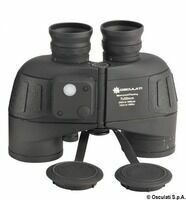 Osculati binoculars Autofocus 7 x 50 with outside rubber coating, automatic focusing (minimum distance 12 m). Prisms: BK-7, field at 1000 metres: 115,3 m (6,6 degrees). Includes belt and holder. 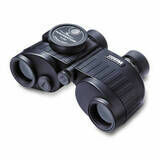 Lalizas classical marine binoculars 7 x 50. Automatic focusing. Prisms: K9, field at 1000 metres: 122 m (7,0 degrees). Long eye relief: 22,7 mm. Weight: 800 grams. Includes belt and holder. Splash-waterproofed binocular, manual focus, outer surface covered with rubber. Field of view 7° (122/1000 m), BK-7 prism. Blue colored multicoated lenses. High quality night vision binoculars feature user friendly design and compact body style, which is easy to hold and operate. All-glass multi-element optics minimize image distortion and allow for quicker light transmission. High-grade Intensifier Tubes are hand-selected for matching clarity, resolution and color hue. Water resistant body allows use in inclement weather and large operation buttons are easy to press even with winter gloves. Furthermore the buttons operation mimics positive mechanical push, while being digital to improve longevity and reliability. Shade style eyecups shield the light coming out of the ocular lens, allowing its user to remain covert during operation. The eyecups can also be folded to allow use with eyeglasses. Built-in powerful IR illuminator features adjustable infrared beam and provides additional, invisible to the naked eye light up to 100 yards, allowing use in complete darkness. Standard ¼" tripod mount adds convenience of using the binoculars handsfree, particularly useful for wildlife observation and star gazing and it also allows attachment of extended range IR illuminators. Shoulder strap is made of rubber foam painted with bright colours. It`s floating features keep the binoculars on the water surface and thus it can be easily located. Size: 500 x 55 mm, fitted with adjustable nylon straps. Riviera 3" Pegasus wall compass. Internal cardan inclinometer, 12/24 V lighting, 5° scale. Protection cover included. Apparent diameter: 80 mm. Body: Black, Rose: Red. Riviera 3" Pegasus wall compass. Internal cardan inclinometer, 12/24 V lighting, 5° scale. Protection cover included. Apparent diameter: 80 mm. Body: White, Rose: Blue. Riviera 3" Pegasus wall compass. Internal cardan inclinometer, 12/24 V lighting, 5° scale. Protection cover included. Apparent diameter: 80 mm. Body: White, Rose: Red. Riviera 3" Polare wall compass. Internal cardan inclinometer, 12/24 V lighting, 5° scale. Protection cover included. Apparent diameter: 80 mm. Body: Black, Rose: Red.